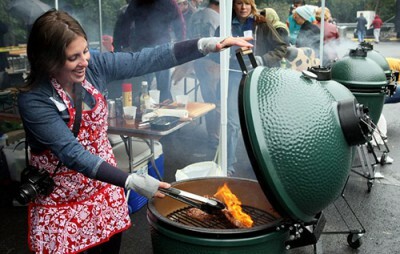 Each year, thousands of Big Green Egg grilling enthusiasts from countries across the globe compete in hundreds of sanctioned barbecue contests. From Northern Europe to Southern Alabama and from Canada to South Africa, these grilling aficionados carefully mix their homemade recipes for rubs, sauces and marinades and painstakingly trim each cut of meat to perfection, all vying for the Grand Prize. And the Big Green Egg can be found right in the middle of all the action. Winning cooks rely on the Big Green Egg for its unmatched capabilities and versatility … when results matter, there is simply no substitute for the quality of an EGG. Easy to light, with precise and accurate temperature control, the EGG gives every championship cook the winning edge – including those who don’t venture beyond their own backyard! Are you a competition team that competes using EGGs?